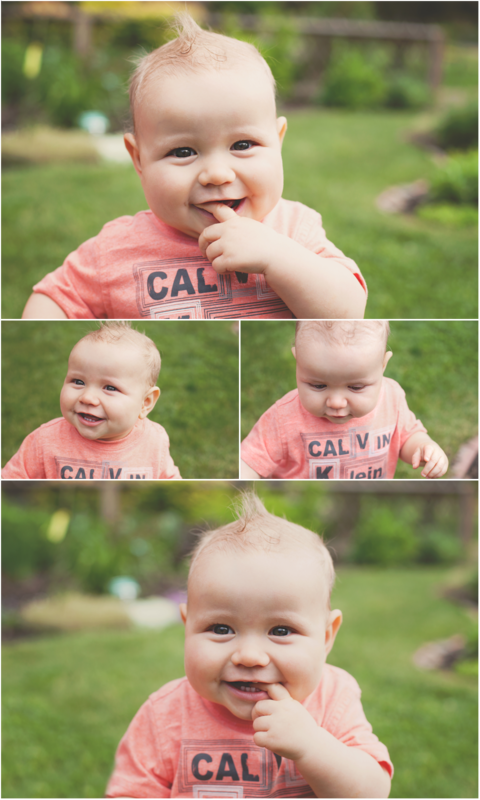 This sweet little guy is 8 moths old and his parents wanted to celebrate that by getting some photos done. We headed out to the beautiful St. Albert Botanical Gardens for this ession and the day was nice and warm and sunny, which is a treat considering all the rain we have been having. Our session got rained out twice. 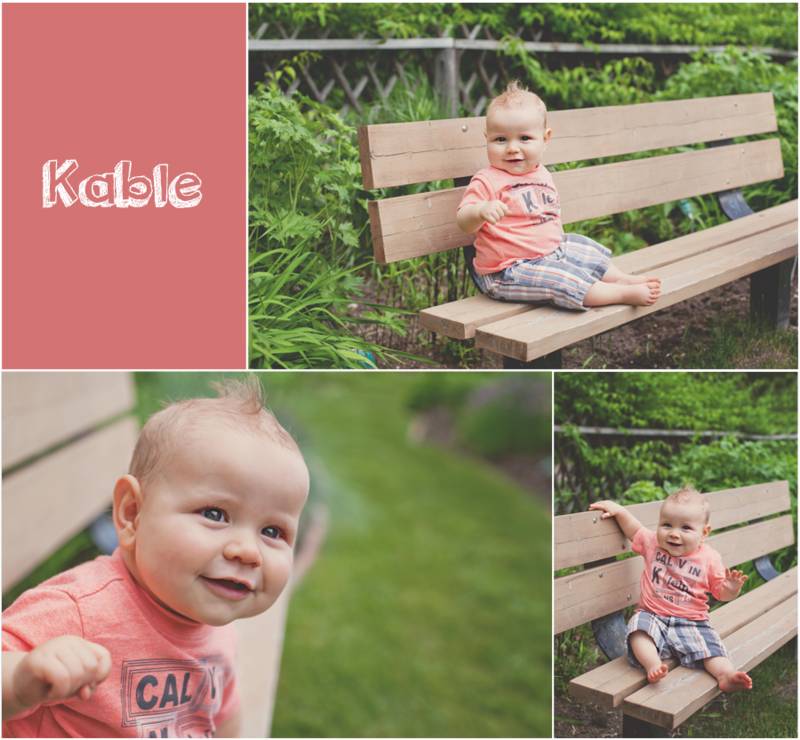 Kable was a perfect little cutie for the session, he didn't have his regular nap so his parents were a bit worried, but he did a great job with smiles everywhere!